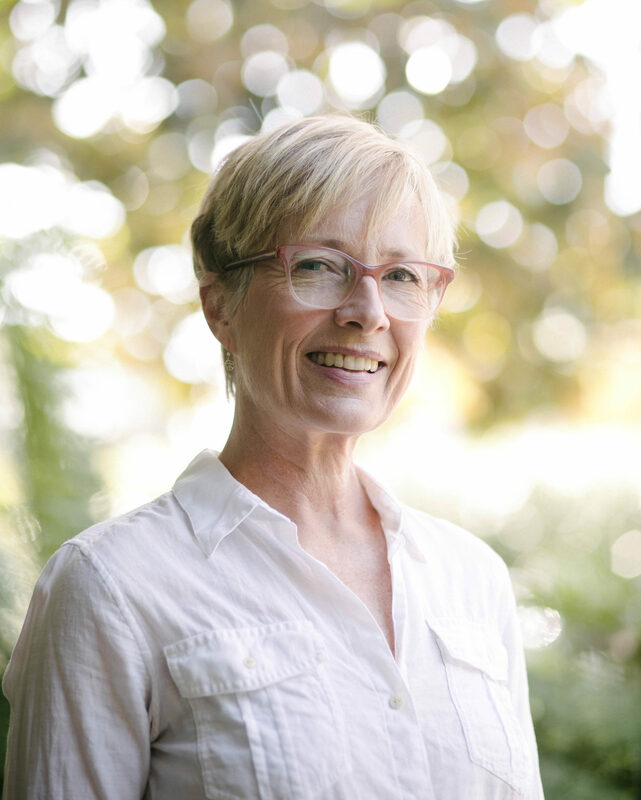 Vibeke Weiland is a certified Nutritional Therapy Practitioner practicing at Santa Barbara Wellness for Life in Santa Barbara. She received her M.A. in behavioral psychology from the University of California, San Diego and also holds a certification as a specialist in fitness nutrition from the International Sports Sciences Association. Vibeke believes in encouraging optimal health through a lifestyle aligned with what homo sapiens evolved to do: eat real food as nature provides it, move, sleep soundly, be outdoors and share in community. She joined the board in 2013 with the goal of supporting the Foodbank’s efforts to develop sound nutritional policies and provide vital nutritional education to the residents of Santa Barbara County. Her professional affiliations include the Nutritional Therapy Association, the International Sports Services Association and the National Association of Nutritional Professionals. She is an avid hiker and cook. She and her husband have two teenaged children who good-naturedly tolerate — and frequently even enjoy — her kitchen experiments. George Bean is an owner and original founding member of Capital West Associates, LLC (“CWA”). During the merger of CWA with SKB, Mr. Bean was a Principal of SKB, and for 2 ½ years was focused primarily on asset management in the western region. Additionally, Mr. Bean was responsible for investor relations for specific high net-worth investors and deal structuring on numerous investments. Prior to forming CWA, Mr. Bean spent three years with a Pacific Northwest-based boutique investment advisor as senior vice president of the private investment division with assets of $600 million. During his tenure there, he oversaw the restructuring and management of their real estate equity and mortgage products. He also was responsible for the creation and implementation of a new real estate mortgage product for their existing pension fund clients. Previously, Mr. Bean spent 12 years with MIG Financial Corporation in San Francisco (and its predecessor company, Norris, Beggs and Simpson) handling a wide range of real estate issues at the equity, debt and property level for a varied real estate portfolio. The portfolio included a large group of non-performing and non-traditional real estate assets. Additionally, Mr. Bean spent two years as an independent contractor with the real estate division of Wells Fargo Bank and six years as a partner in several private partnerships in San Francisco, working with real estate and other private investments. George has both a B.S. and an MBA from the University of San Francisco, and over 25 years of real estate-related experience. Currently, Mr. Bean serves as a trustee and advisor to several families with commercial/residential real estate interests. He works closely with the other professionals to ensure that the client(s)’ current goals and objectives are met as well as the successful planning for the transition of wealth and family values. Before joining the Channel Islands YMCA, Cindy Halstead worked as an auditor for two large accounting firms; Ernst & Young in Los Angeles, and Deloitte & Touche in Oxnard, where she earned her CPA certification and developed her accounting and audit skills. During her career in public accounting, she gained insight into many different industries and later discovered a passion for nonprofit organizations. In 1992 she joined the Channel Islands YMCA’s finance department. She was instrumental in restructuring the department and converting the organization to computerized operating and accounting systems. After many years as controller, she became chief financial officer in 2006. Cindy has served as board treasurer for Girls Inc. of Carpinteria and treasurer for the board of the Foodbank of Santa Barbara County. While serving as a board member, she discovered she could use the governance and accounting experience learned at the Y to benefit other local nonprofit organizations. Cindy has a Bachelor of Science degree in accounting and a Masters of Business Administration from California State University, Northridge. In addition to being a Certified Public Accountant, she holds the title of Chartered Global Management Accountant, and is a member of the AICPA and CalCPA. Carol Olson has a consulting business which conducts independent compliance reviews for investment advisory firms. She has more than 25 years of experience in the securities business. Prior to starting her own firm, she served as chief compliance officer and treasurer of Santa Barbara Asset Management. In addition to her compliance experience, she was chief financial officer for various firms. She has a B.S. in Finance and Economics from the University of Arizona. She obtained her chartered financial analyst designation in 1999. Carol moved to Santa Barbara in 2006 with her husband Stephen. She has been actively involved in various community activities including Santa Barbara Museum of Art Women’s Board and Girls Inc.
Frank Abatemarco, a longtime Montecito resident has been successfully selling Montecito luxury properties for 10 years with Sotheby’s International Realty. Frank recognizes the importance of giving back to the community and he is active in a variety of charitable organizations. He is the past Chaic of the board of trustees for the Foodbank of Santa Barbara County. He is on the board of directors for the Montecito Association and serves on the Land Use Committee. He is married to Toni Abatemarco and they have two children; Gina, a recent graduate of NYU Film School, and Christopher, who will be attending Embry-Riddle. Peter N. Brown is a partner at the law firm of Brownstein Hyatt Farber Schreck in Santa Barbara, and was a partner in the law firm of Hatch & Parent before that firm’s merger with Brownstein in 2008. His legal practice emphasizes land use, environmental law, and public law. He received his Bachelor’s Degree from Amherst College and his law degree from the University of Southern California, where he was an editor of the Southern California Law Review. He has served on the Board of Directors of the Music Academy of the West and The Granada Theater, and currently is Vice President of the Goleta Valley Chamber of Commerce. He and his wife Suzanne, a retired music teacher of the Goleta Union School District, have lived in Santa Barbara for 38 years, and raised their children, Chris and Matt here. Narded Eguiluz grew up in San Luis Obispo County and graduated from Cal Poly, SLO with a B.S. in Agribusiness. After college, he worked for his family’s farm, managing the operations and working in the fields. He eventually moved to Santa Cruz for eight years to pursue a career with a leading horticulture company, overseeing the processing and distribution of flower bulbs. Wanting to return to his agricultural roots, Mr. Eguiluz moved back to the Central Coast and now resides in Santa Maria with his wife and their two dogs. He is currently the district manager at the Driscoll’s Santa Maria facility, and is an active member of Driscoll’s Philanthropy Grants Committee. Mr. Eguiluz is excited to be on the Foodbank Board of Trustees to help share his distribution knowledge and give back to his community. Wayne Elias has lived in the Santa Maria Valley for over 25 years and is a vice president at Farm Credit West. During his lending career he has worked in Ventura and Carpinteria. His job is to provide short-term farm operating loans, equipment leases and farmland mortgage to local growers, ranchers and vineyard operators. Wayne received his B.S. degree in Agriculture from California State University, Chico with a focus in business management. Wayne developed his sense of community involvement from raising his three children in a small community. He and his wife, Cynthia, were involved as leaders in the Boy Scouts and Girl Scouts organizations. Wayne has been a member of the Santa Maria Noontime Kiwanis Club for 24 years. He served on the board of directors for several years and was named member of the year for his volunteer work and fundraising efforts. When Wayne is not working, he can be found relaxing on his small farm or up in the Sierras hiking or skiing. Scott Hansen is the regional managing director for Wells Fargo Wealth Management for the Coastal Gateway market in California. The Coastal Gateway market includes San Luis Obispo, Santa Barbara and Ventura counties, and the San Fernando Valley. As a senior leader in the region, Mr. Hansen is accountable for delivering an exceptional experience for clients of Wealth Management and Wells Fargo Private Bank; driving business planning and execution; and recruiting, retaining, coaching and developing talent. He actively leads advisors who help clients meet their wealth management needs through a variety of wealth planning, investment management, private banking, trust services, insurance, and integrated financial solutions. Prior to joining Wells Fargo, Mr. Hansen worked at U.S. Trust, Bank of America for nine years, where he held a number of positions within the wealth management spectrum. He has been in the financial services industry for 29 years. Scott resides in Ventura with his wife of 18 years and their three children. Mr. Hansen also currently serves on the board for Big Brothers Big Sisters of Ventura County and on the board of trustees for the Ventura County Community Foundation. Scott also serves on advisory boards for California State University, Channel Islands and the Cancer Support Community of Valley/Ventura. Scott is a volunteer coach with Ventura Foothill Little League Baseball and the Ventura Youth Basketball Association. After graduating from California Polytechnic University, San Luis Obispo, Tim Harrington went on to earn his MBA at Golden Gate University. Since then, he has served in multiple capacities throughout Santa Barbara County. As a former member of the Lompoc Valley Chamber of Commerce, the Advisory Board of the Lompoc Food Pantry, LUSD Community Education Foundation Board, Lompoc Valley YMCA Finance Committee, and the Allan Hancock College Foundation Board, Tim has shown a great commitment to our local communities. He also has an extensive background in business, with experience at Raytheon, Hughes Aircraft, and the Small Business Development Center Program. He is currently working as Principal at TerraLink Consulting and continues to volunteer through committee work. Prior to joining the Pacific Children’s Gastroenterology practice in Santa Barbara in 2012, Dr. John-Kelly attended Madras Medical College in India and completed her pediatric internship and residency in New York, as well as a fellowship in pediatric gastroenterology at The Children’s Hospital of Philadelphia. As a pediatric gastroenterologist, Dr. John-Kelly understands the importance of food security and good nutrition in children’s health. Newspaper publisher Cynthia Schur, who has worked in journalism for over 30 years, is currently president and publisher of Lee Central Coast Newspapers. She joined the board to help with the Foodbank’s nutrition education programs in North County. “Through board participation I hope to further support the Foodbank’s effort to expand food literacy in North County,” said Schur. Ian Stewart is vice president of marketing at Deckers Outdoor Corp., where he oversees the UGG brand, and has held marketing positions with several major brands as well as serving as marketing director for the nonprofit Surfrider Foundation. Community leader and philanthropist Betsey von Summer Moller has been a Santa Barbara resident since 2003 and has a long history of community service, including serving on the board of The Lobero Associates and the Montecito Education Foundation, and assisting with fundraising for The Crane School. She is looking forward to helping the Foodbank grow and serve more Santa Barbara County residents. “I am interested in helping the Foodbank because in addition to giving people food, the Foodbank is teaching and educating people about nutrition,” she said. Barbara Tzur is founder and president of Brylen Technologies, a calibration laboratory established in 1985. Over her career Barbara has been involved in the local community. She participated in Leadership Santa Barbara County program. She was a mediator for the West Side Community Organization. She is a senior member of the American Society for Quality, a member of the National Conference of Standards Laboratory International and a charter member of its 174 writing committee helping establish the international standard for accreditation for calibration laboratories. She is a member and served as president of the Science and Engineering Council, Santa Barbara, was a committee member and chair for the City of Santa Barbara’s Community Development/Human Resources for several years. She is a charter member of the National Association of Women Business Owners-SB chapter (NAWBO-SB) and served as its secretary for two years. In May 2011, NAWBO-SB awarded her with the prestigious honor of entrepreneur of the year in the field of technology. She is a Rotarian in Goleta Noontime Club and has served on the board as secretary, international chair and was president during 2008-2009. She was on the board of Legal Aid Foundation and served as its secretary, treasurer, and president from 2009 through 2011. Barbara works out several mornings a week, walks her two rescue dogs daily and acts in community theaters when the opportunity arises. Erwin Villegas has been a Santa Barbara resident for almost 20 years working in the construction industry after graduating with a Bachelor’s of Science degree in civil engineering from California State University, Fresno. While managing projects throughout the tri-counties, he furthered his education at the University of California, Santa Barbara where he earned his project management certification. He is currently working as the chief estimator for Frank Schipper Construction Co., a Santa Barbara-based general contractor that specializes in commercial construction. While serving as a board member at the Foodbank of Santa Barbara County, he also serves as a state director for the Associated General Contractors of California as well as a board member for the AGC Tri-Counties District, where he served as chair in 2010. Dedication to giving back to the community and making a difference are reasons why he remains active in local and statewide organizations.